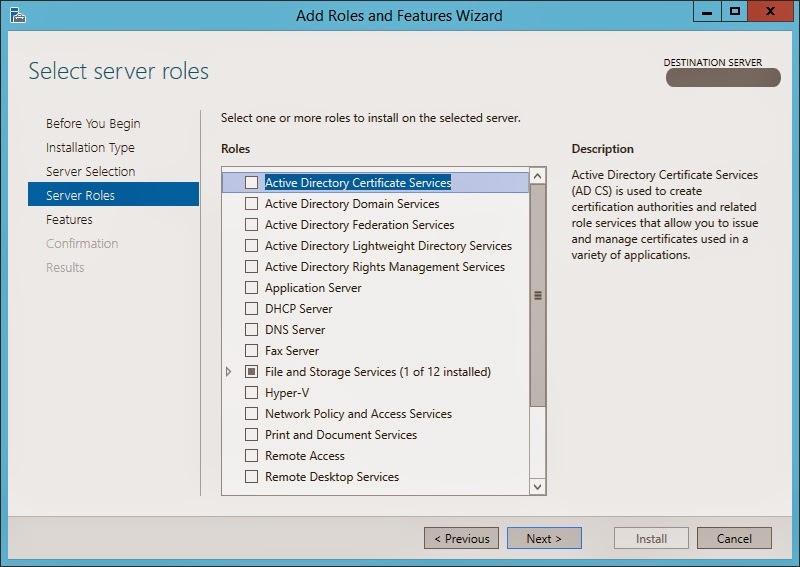 Today I was configuring a Windows Server 2012 R2 virtual machine to install Microsoft Dynamics NAV Server. Initial configuration setup went as planned and when I start the installation process of SQL Server 2012, following error pop up (after completing around 25%) and it halt the Microsoft SQL Server installation process. 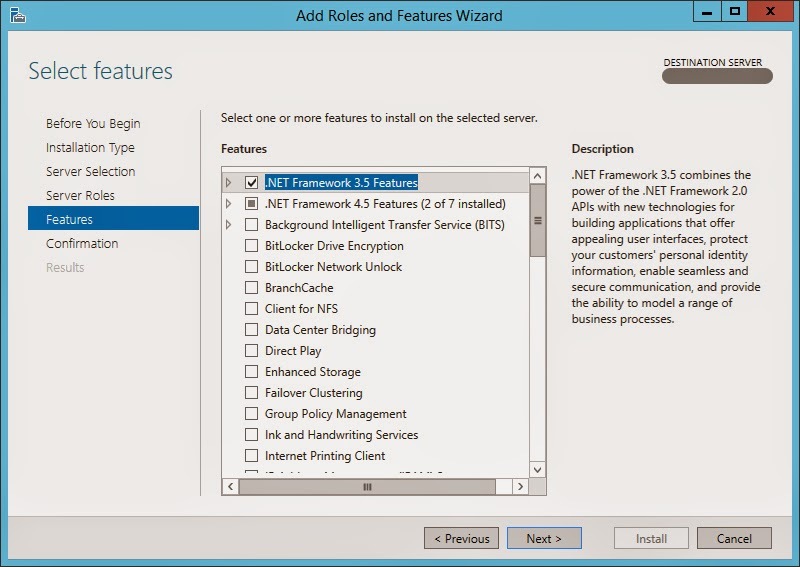 On Windows Server 2012 R2, .NET Framework 3.5 feature is not installed because it already have .NET Framework 4.5 installed as the default platform. 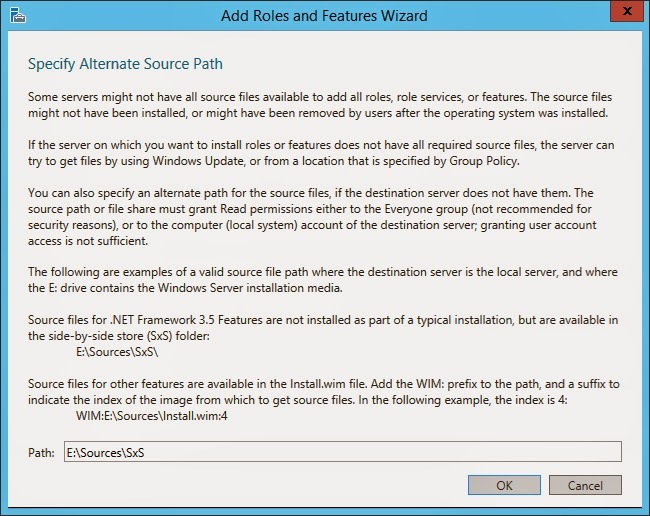 If you want to have .NET Framework 3.5 then you should manually install it on the server. Lets see how to install NetFx3 and fix this problem. This is the default screen unless if you didn't tick the "Skip this page by default". However just go through this page content or simply click "Next" button. 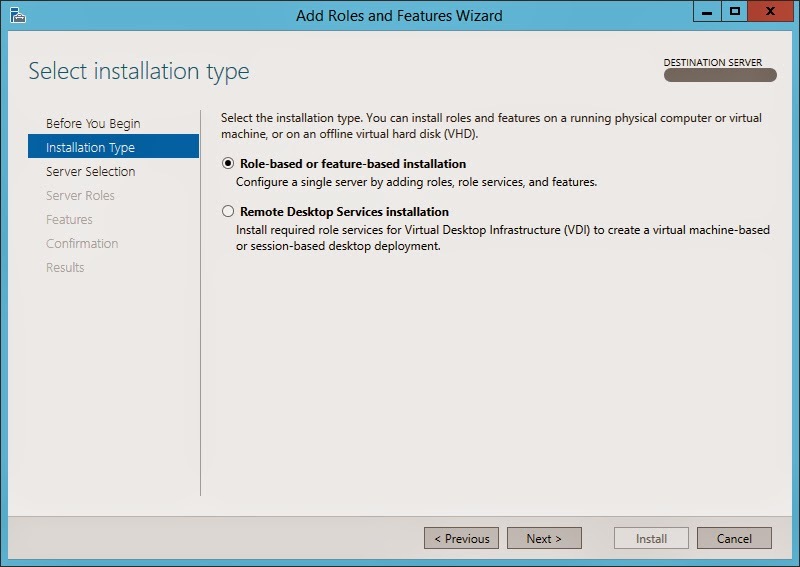 In this window select "Role-based or feature-based installation" option. As the name implies this will allow us to add the roles, role services and features. 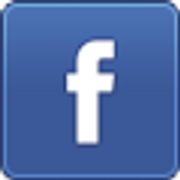 In this page select the server that you want to install "NetFx3" feature. 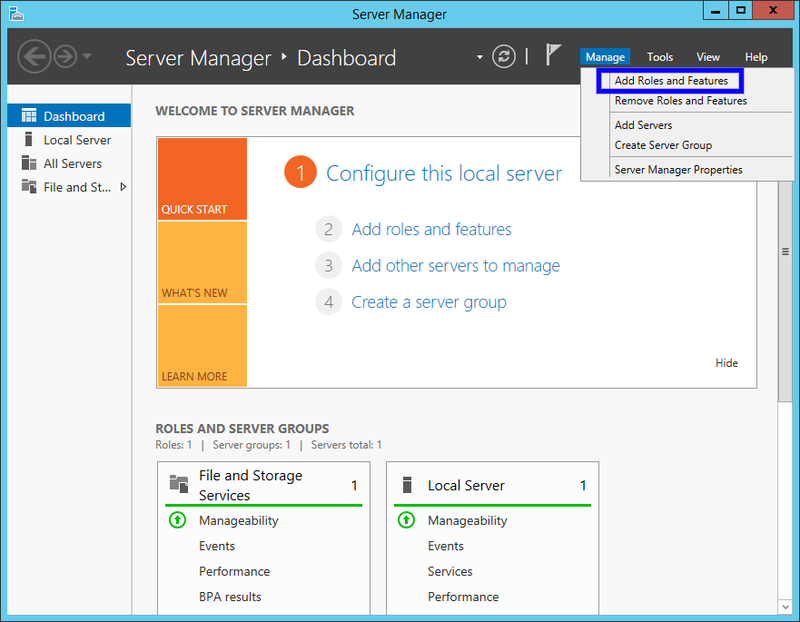 In my case I only have one server in the server pool and by default it was automatically get selected. We just have to skip this window because we are not going to install a server role and we want to install a server feature. Therefore press "Next" button in the bottom of the wizard and it will navigate the page to "Features" page. (Refer the below image) Finally we are there!! 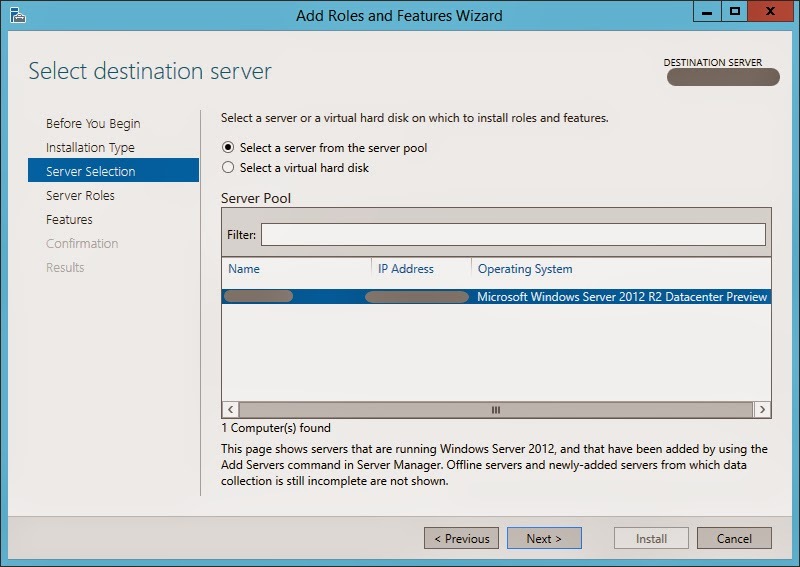 In this window you can select the features that you want to install to the selected server. 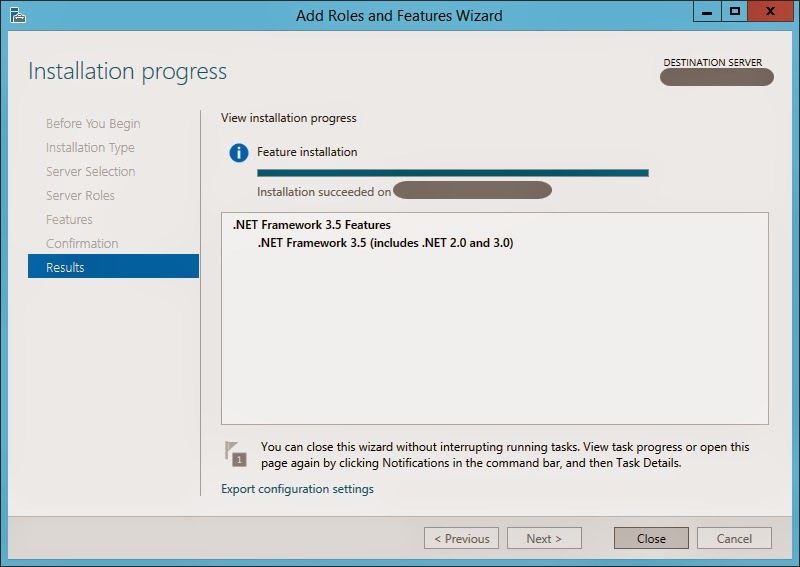 In this case we only want to install .NET Framework 3.5 Features. 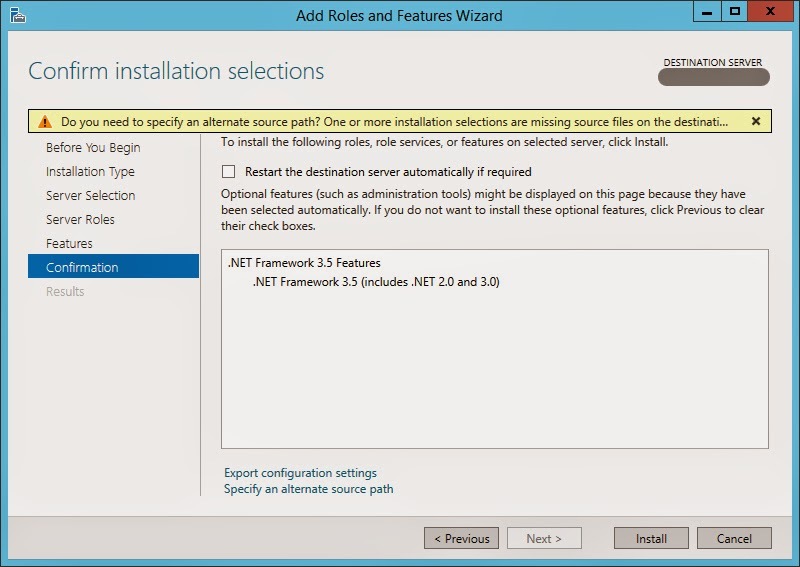 To install .NET Framework 3.5, click on the related check box as shown in the above picture. 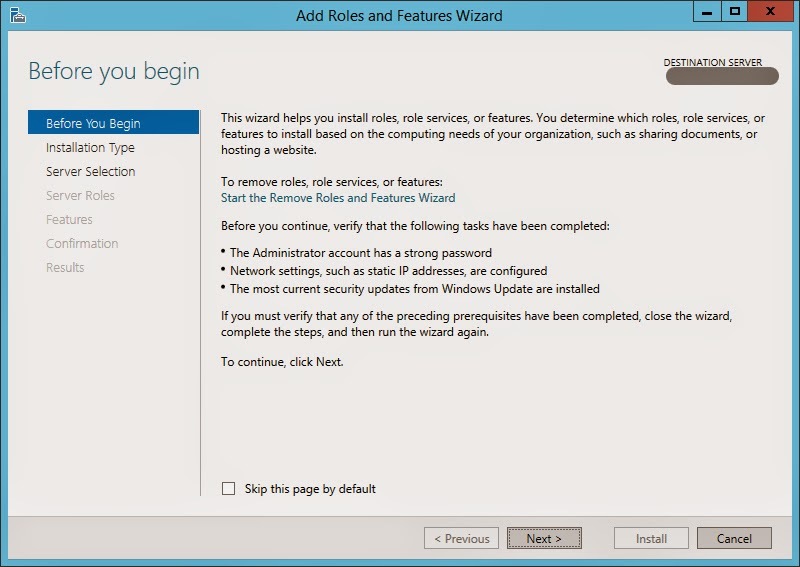 After selecting the check box click "Next" button in the wizard to go to Confirmation page. Thanks a lot , it worked..! Thank you! This was helpful with getting past the Skype for Business Server install. Thanks for the item posted on installing features. It was helpful to me and worked file. Thank you once again. Thanks so much! This was very helpful. Your welcome. Glad it helped. I still cannot get the installation to work... I think it's because I am specifying the wrong alternate path. I'm not sure where I have my IOS files mounted. Do you have any idea on what I should do? What it the error message you get when you try the installation? Thank you. You saved my day. I was almost crazy! God bless you!